Ancient China, one of the cradles of human civilization, has created a splendid culture. As early as 2000 BC, the great eclipse was recorded in Shang Shu,Yin Zheng, one of the ancient Chinese Classics. Two events of comet visiting which happened in 613 BC and 467 BC respectively were recorded in another Chinese Classic, Spring and Autumn, which are regarded as the two earliest observations in human history of the Halley comet’s return. The records of sunspot observations in 28 BC were documented in China, which is almost 1000 years earlier than the similar documentation in the West. Ancient Chinese also holds the record as the earliest observer of supernova in the world, which dates back to about 1300 BC, and what’s more, ancient Chinese has detailed records of aurora observation. In 1957, the launch of the first artificial satellite ushered in a new era for modern space science. The past 50 years’ developments in China’s space science have witnessed many major missions: Dongfanghong-1, sounding rockets, Shijian series scientific experiment satellites, manned spaceflight, Double Star Program, lunar exploration program, etc. Substantial progress has been achieved in space science study, exploration technology as well as experiment technology. The main goal of the Strategic Priority Program on Space Science is dedicating to deepen our understanding of the universe and planet earth, seeking new discoveries and new breakthroughs in space science via the implementation of both independent and co-operational space science missions. 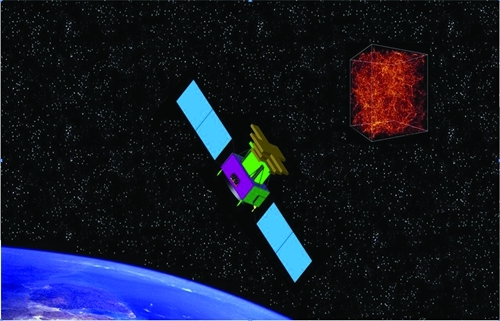 During the Twelfth Five-Year Plan period, the Strategic Priority Program on Space Science implements the following missions and studies: Hard X-ray Modulation Telescope, Quantum Experiments at Space Scale, Dark Matter Particle Explorer, Shijian-10, Kuafu Mission, Intensive Study of Future Space Science Missions and Advanced Research of Space Science Missions and Payloads. X-rays are emitted by the high energy physics processes in space. They are related to extreme physics conditions such as high temperature, high density, strong magnetic field, and strong gravitational field, and thus are major tools to study black holes and neutron stars. Because X-rays are absorbed by the earth atmosphere, astronomical X-ray observations can only be done in the outer space. The first US X-ray satellite “Uhuru”, which was launched by NASA in 1970, carried out all-sky survey, discovered hundreds of X-ray sources, and opened a new window to observe the universe. 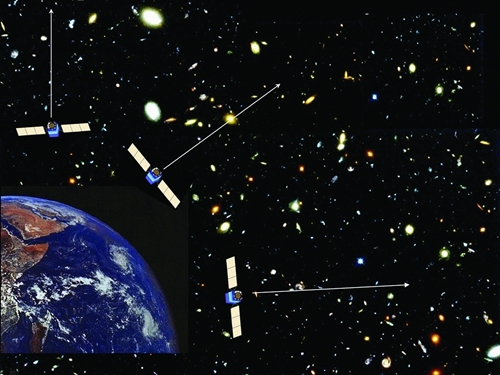 The Hard X-ray Modulation Telescope proposed in 1993 by LI Tibei, an academician of the Chinese Academy of Sciences, will be China’s first astronomical satellite. It will perform a broad band (1-250 keV) all-sky survey, in which a large number of massive black holes and other high energy objects will be detected, and the properties of the cosmic X-ray background will be more tightly constrained. HXMT will conduct pointed observations of black hole and neutron star X-ray binaries, study their multi-wavelength variabilities, and probe the dynamics and high energy radiation process in the strong gravitational field or magnetic field. The total mass of HXMT is about 2700 kg. It will be launched by a Long March-4B rocket into the orbit of an inclination angle of 43° and height 550 km. Its nominal operating lifetime is 4 years. The payloads onboard HXMT include the High Energy X-ray Telescope, the Medium Energy X-ray Telescope, the Low Energy X-ray Telescope, as well as a Space Environment Monitor. HXMT is now in its engineering qualification model phase. Quantum key distribution, Bell’s inequality test and quantum teleportation have become the frontier of the quantum information and technology since quantum mechanics theory was founded in the early 20th century. The main developed countries and regions in the world have all put a lot of efforts into carrying out long-distance quantum communication theory and experiment research, preparing for the quantum communication experiment between the satellite and the ground station. The Chinese scientist Professor PAN Jianwei, who is an academician of the Chinese Academy of Sciences, has made several important breakthroughs with his research group in the field of free-space quantum entanglement distribution and teleportation. All of their work have laid down a solid foundation for long-distance quantum communication and fundamental tests of the laws of quantum mechanics. 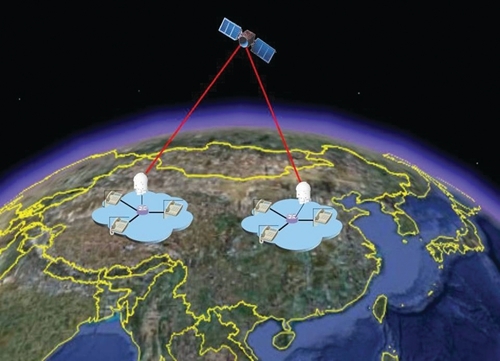 Implementation of long-distance quantum communication network based on high-speed quantum key distribution (QKD) between the satellite and the ground station, to achieve major breakthroughs in the realization of space-based practical quantum communication. Quantum entanglement distribution and quantum teleportation on space scale, fundamental tests of the laws of quantum mechanics on global scale. The Quantum Experiments at Space Scale will be launched by a Long March-2D rocket into the sun-synchronous orbit with an altitude of 600kilometers and inclination angle of 97.79°. Its operating lifetime is 2 years. There will be four kinds of payloads: quantum key communicator, quantum entangled transmitter, quantum entangled photon source and quantum control processor. Quantum Experiments at Space Scale is now in its engineering qualification model phase. The existence of dark matter is clearly proven by the gravitational effects, but it has not been directly detected by the electromagnetic waves. For a long time, it is one of the core issues in particle physics and cosmology, and relevant results may lead to a significant breakthrough in basic science. The Chinese scientist CHANG Jin, a research fellow of CAS, has made several important breakthroughs with his research team in the detection of high energy cosmic rays and gamma-ray. Their work has laid a solid foundation for the detection of dark matter particles. 1 Search for and study dark matter particles by conducting high-resolution observation of high-energy electron and gamma ray. 2 Study the origin of cosmic rays by observing the high energy electron and heavy nuclei above TeV. 3 Study the propagation and acceleration mechanism of cosmic ray by observing high-energy gamma ray. Dark Matter Particle Explorer will operate at sun-synchronous orbit with an altitude of 500 kilometers and an inclination of 97.4° with 3-year lifetime. Its total mass is less than 1900 kg, and it will be launched by a Long March-2D rocket. There will be five payloads onboard the satellite: Si-Pin array, plastic scintillation hodoscope array, BGO calorimeter, neutron detector and payload data management system. Dark Matter Particle Explorer is now in its engineering qualification model phase. 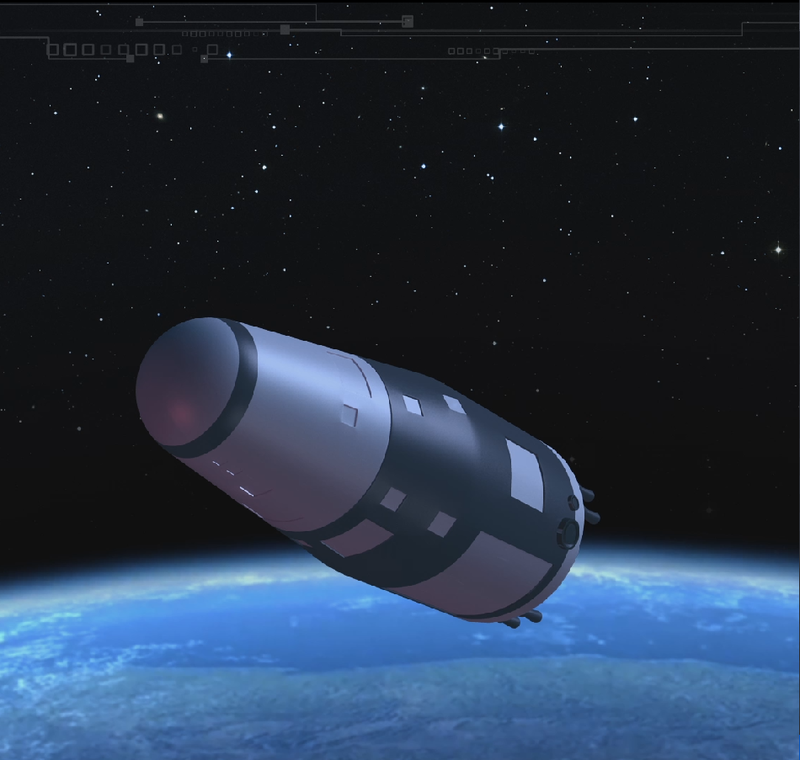 Recoverable satellite Shijian-10, which is proposed by HU Wenrui, who is an academician of the Chinese Academy of Sciences, is designed for space experiment research of microgravity science and space life science. The major scientific objectives of Shijian-10 are to get innovative achievements in kinetic properties of matter and rhythm of life by carrying out various scientific experiments in space. The satellite is planning to be launched by the Rocket of Long March-2D. The mass of the satellite is 3600 kg. The orbit inclination angle is 63°, the perigee altitude is 220 km, the apogee altitude is 482 km, and the operating lifetime is 15 days. 19 scientific experiments will be carried out onboard the satellite. Among them 10 experiments are for microgravity science research, and the other 9 experiments are for space life science research. These experiments are involved in 6 different fields: microgravity fluid physics, microgravity combustion, space materials science, space radiation biology, gravity biology, and space biotechnology. The Shijian-10 is now in its preliminary design phase. As the governing body of the solar system, the Sun exerts a crucial influence on the planets and interplanetary space. At present, more than a dozen of satellites are deployed in the space between the Sun and Earth, with a focus on certain physical processes in the cause-and-effect chain of space weather. Exemplified by SOHO and Cluster/Double Star, satellite experiments of this kind have achieved remarkable breakthroughs. Yet, integrated and simultaneous observation of the entire space weather system, as represented by Kuafu, has not yet been performed. 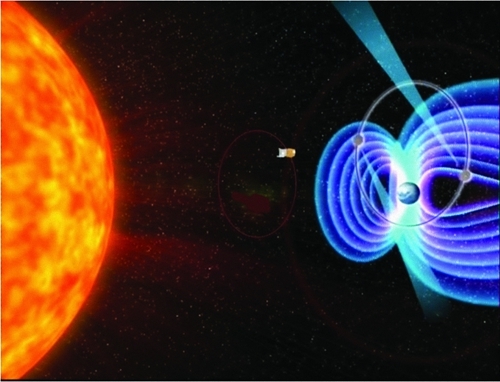 The Kuafu mission will perform integrated, continuous, multi-layered long-term observation of the origin of the solar wind and CME eruptions, determine the earthward velocity and energy output of these disturbances, track their propagation and evolution in interplanetary space, solve systematically the problem of what drives space weather, and improve the quality of forecasting space weather hazard. The Kuafu mission will image the Sun-Earth space weather system and perform in-situ particle measurements. The mission is under comprehensive review. China will be responsible for the development and launch of the Kuafu A satellite situated at the first Lagrangian point. International partners are being sought to participate in the development of Kuafu B1 and B2 satellites. In the Strategic Pioneer Program on Space Science, a group of study projects are called Intensive Study of Future Space Science Missions. The aim of the project is to carry out intensive studies in the selected future science missions including their scientific objectives, their payload definitions, and related key technologies, making preparations for implementing the missions during the “Thirteenth Five-Year Plan” period. The first batch of future space science missions have been selected in 2011, which are Solar Polar ORbit Telescope (SPORT), Magnetosphere-Ionosphere-Thermosphere Coupling exploration (MIT), X-ray Timing and Polarization mission (XTP) and Space Millimeter Wave VLBI Array. The second batch of future space science missions have been selected in 2013, which are Search for Terrestrial Exo-Planets (STEP), Advanced Space-based Solar Observatory (ASO-S), Einstein-Probe (EP) and Water Cycle Observation Mission (WCOM). Advanced Research of Space Science Missions and Payloads is targeted for the advanced research on key technologies for future space science satellites by planning a cluster of research subjects, including innovative concepts of future space science missions, key technologies of payloads, ground calibrations as well as short-time flight demonstrations. This project is divided into two groups during each five-year plan, with 1-2 year research cycle.